The romance intensifies in this new series by New York Times bestselling author of Alice in the Country of Hearts! 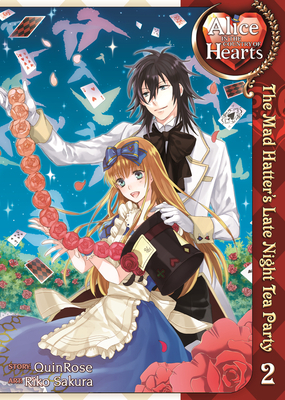 Alice in the Country of Hearts: The Mad Hatter's Late Night Tea Party is a two-book series that chronicles the further adventures of Alice as she goes deeper down the rabbit hole. QuinRose is a Japanese game developer who created the Alice franchise of video games, which spun off into novels, manga, and an anime feature film. Its current Alice franchises include Alice in the Country of Hearts, Alice in the Country of Clover, Alice in the Country of Joker, and Alice in the Country of Diamonds.